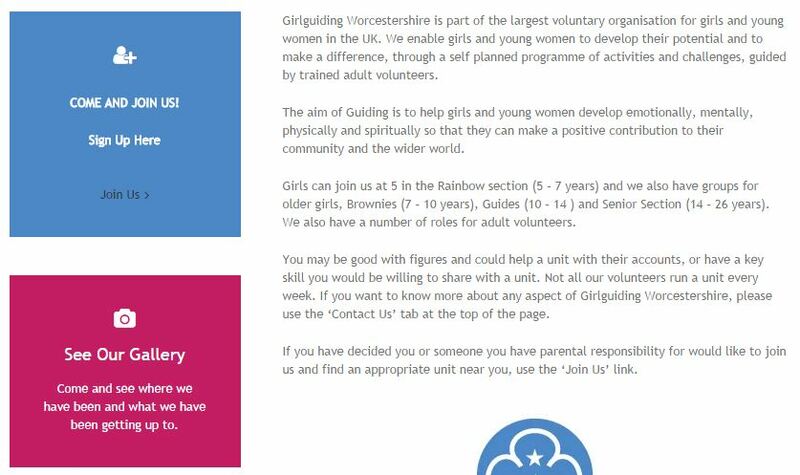 The local Girlguidings Association contacted us to assist them in creating a new website for their group. This site required the development of a site capable of supporting a large amount of information, with integrated diaries, and multiple contact forms for; booking venues, nominating awards and general messaging capabilities. We added plugins to assist in the behind the scene management of the site, enabling folders to be creating to organise their images and documents. This site is easy to update with regular additions of events, news and training dates.